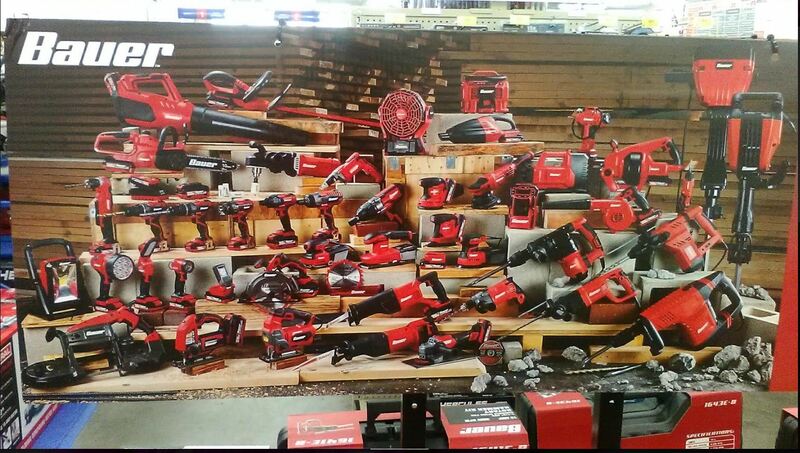 As has been very evident lately, Harbor Freight is very quickly expanding their offerings and recently they put up a sign in my local store with a whole bunch of Bauer corded and cordless tools. While the release dates for most of the new tools in the picture haven’t been released yet, the 20v HyperMax random orbit sander and 20v HyperMax ⅜” drive impact wrench showed up in this month’s (April 2019) coupon flyer. 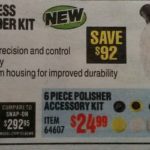 My thoughts: With as many tools as are in this picture, it’s clear that Harbor Freight is truly aiming to be competitive with the likes of Craftsman, Porter Cable, and even Ryobi to some extent. 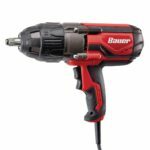 The long list of cordless tools are all included in the Bauer 20v HyperMax line and they even have some new outdoor tools! The outdoor tools include a 10” chainsaw, blower, and a hedge trimmer all of them 20V cordless. The main thing that I see missing is a string trimmer, but there may be one coming still. We’ll just have to wait and see. As for the power tools, let’s start with the exciting stuff and that’s the 20v cordless tools. First up we see a new compact handheld worklight, a folding small area light, a handheld spotlight, and a large area light. In the plumbing sector I can see a 20v drain snake, and a 20v transfer pump. For inflation, I see what looks like a high pressure tire inflator, as well as what looks like a low pressure inflator for pumping up air mattresses and such. Other low pressure inflators on the market offer high pressure as well, so there’s a good chance this one does too, but don’t quote me on it. In addition to the 2 inflators, there’s a small fan (which I can only assume is cordless), a cordless shop blower, and a handheld vacuum. 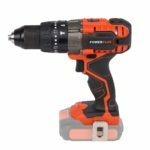 The other new cordless tools include a USB power source, detail sander, and a small radio. Also hidden in the back right is a 4v screwdriver, which should be great around the house. On the corded side, I can see a new polisher, reciprocating saw, ⅓ sheet sander, and a compact hammer drill. While these new tools are great, I just wanna see that 20v reciprocating saw in stores soon, as there’s certainly been lots of demand since it was announced over a year ago. Also keep in mind, no release dates or specs have been released at the time of writing (April 2019). Harbor Freight Lynxx 40V Cordless Outdoor Tools Made By Chinese Company Lera? I saw the rotary hammer & concrete breaker in the stores about 6 weeks ago, I wonder how the performance is………I own a DW spline drive rotary but bits are not easy to find (HD/Lowe’s/etc) and are expensive, I wonder if Harbor is comparing these tools to DW or Hilti ;)……..thanks for the heads up. I forgot about Amazon, thanks for the recommendation! This is great news.I have long wished for The USB power source and others ha. Bauer tools look good feel good and work. The tech(leds lights/battery indicator) is great. I don’t need my power tools hooked up to WiFi or Bluetooth or for that matter “turn on the stereo and tv at the same time while I’m in the hot tub”. 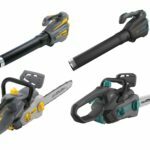 Does anyone else see alot of TTI (Ryobi, Ridgid) styling in some of these new Bauer cordless tools? Would SBD be crazy enough to make some of these tools for HF? The cordless (drills/impacts) are compared DW.